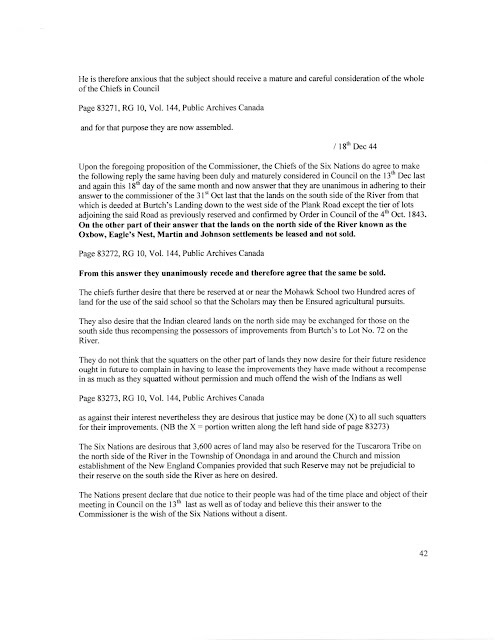 There are numerous posts in this blog and in the media across the country which profile the 2006 take over and occupation of the land where Henco Construction had begun the development that was to be known as Douglas Creek Estates (DCE), perpetrated by activists from the nearby Six Nations Reserve. 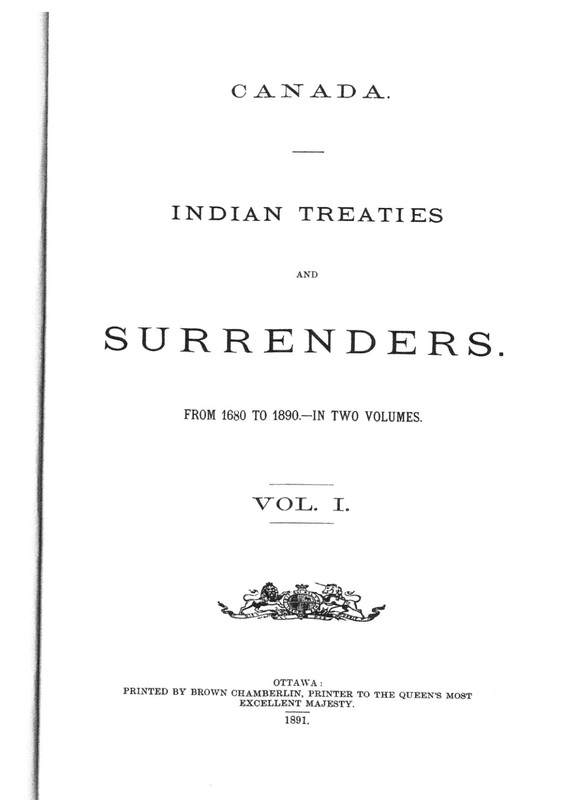 Those who took it upon themselves to re-write history claimed that the land was never surrendered and still belonged to the Six Nations and should be incorporated into their land base. 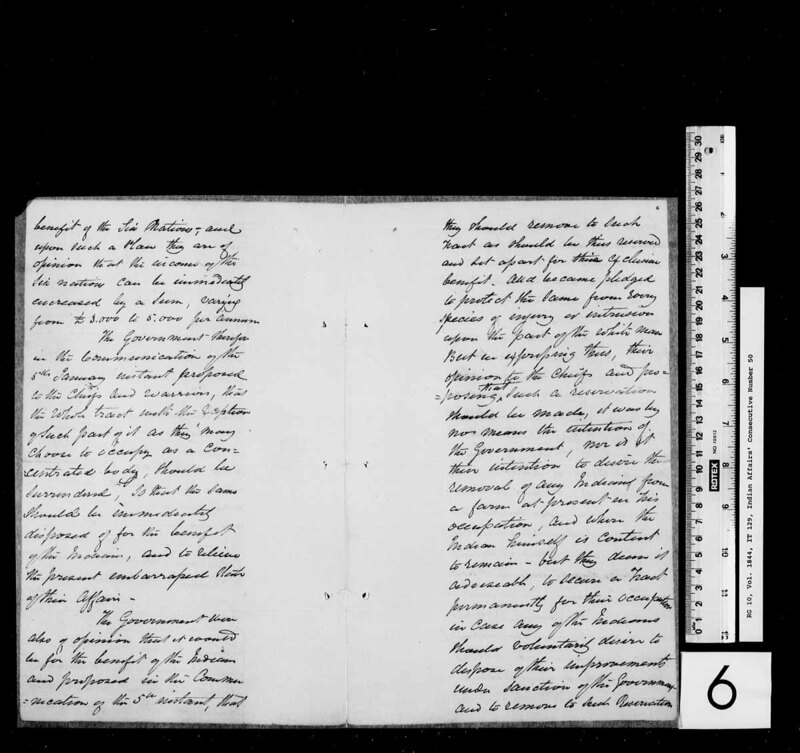 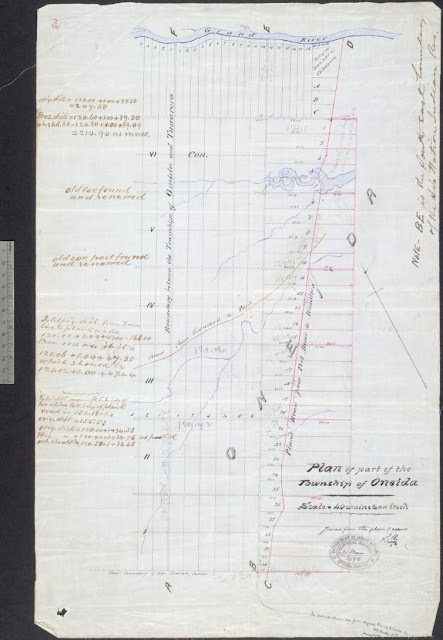 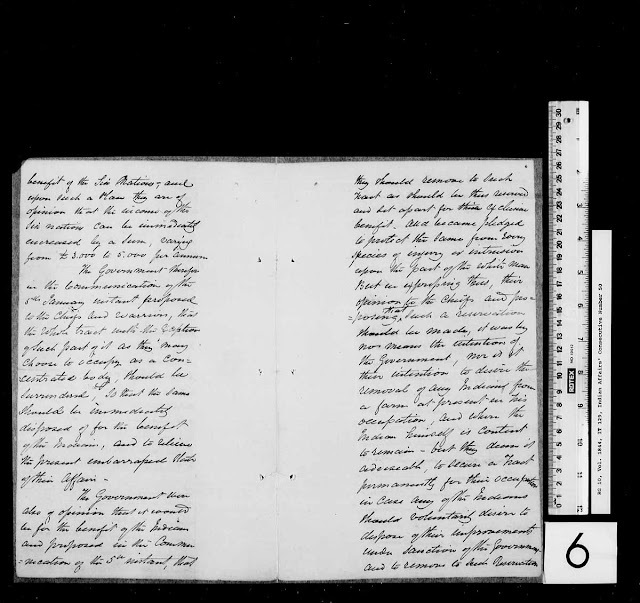 This despite the fact that since 1847 the properties along the Plank Road (where the DCE is located) have been entered into the Ontario Land Registry System. 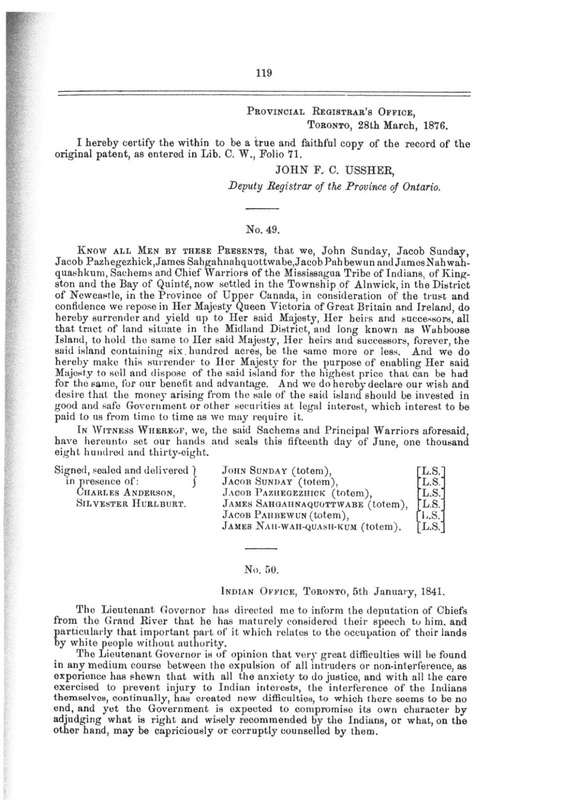 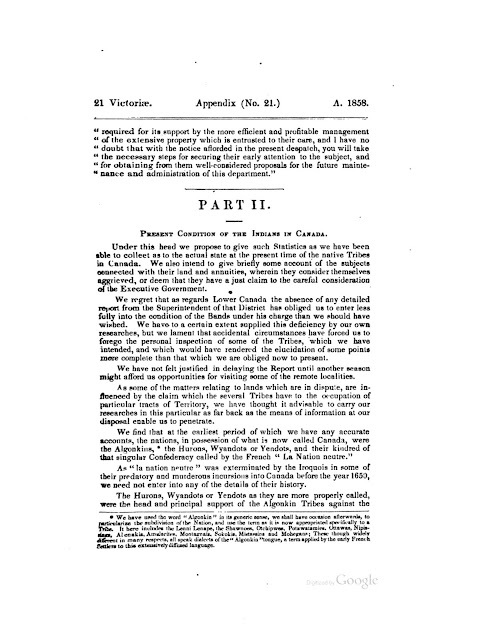 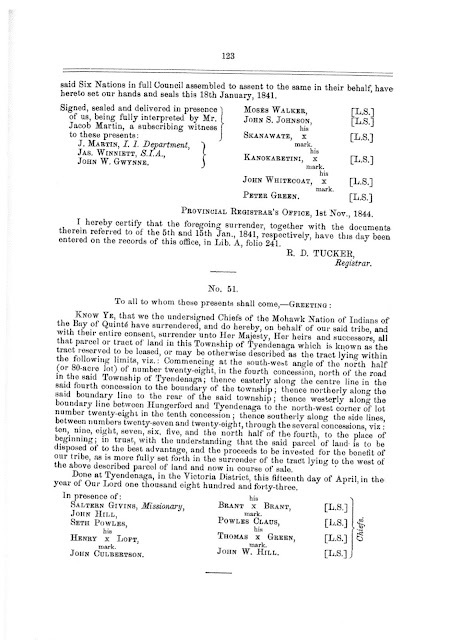 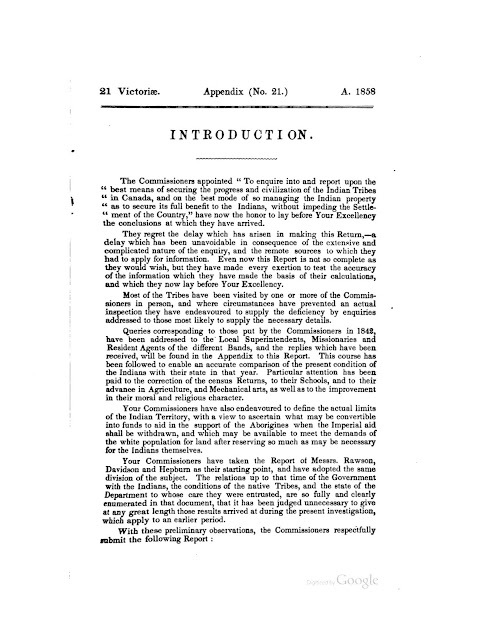 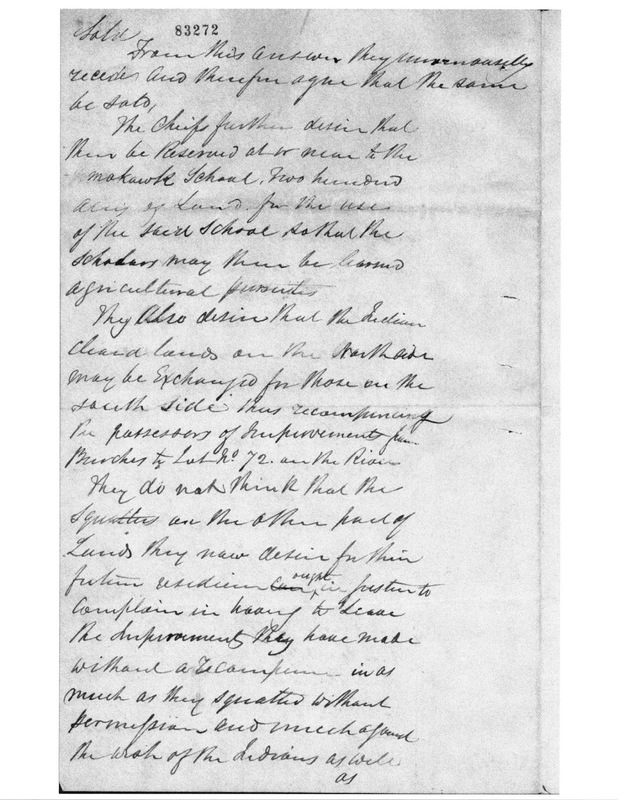 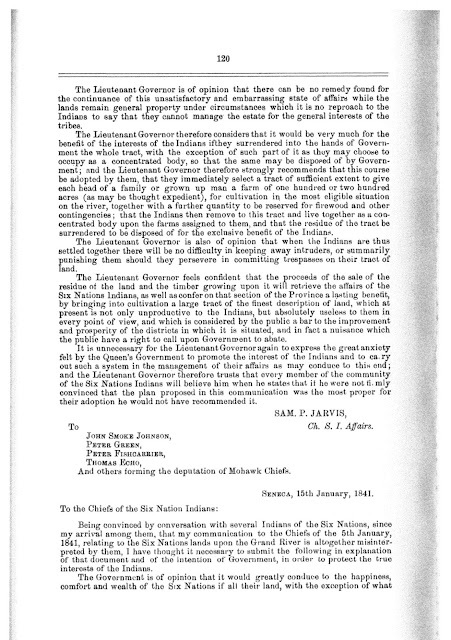 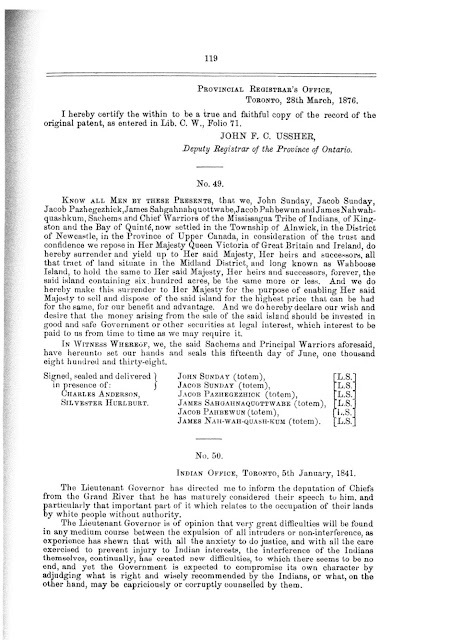 As noted previously, Six Nations land claims researchers agree that there is no legitimate claim to land that has been surrendered (170 years ago), however there are outstanding claims relating to the use (possible misuse) of the money that, after the land was sold, was placed in trust for the benefit of Six Nations. 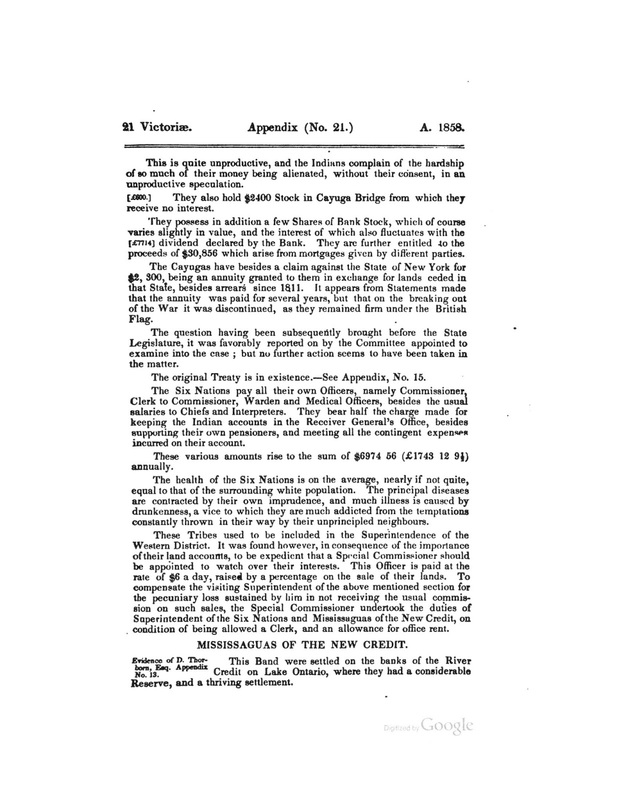 I argued that were it not for any sort of reasonable interpretation of "statute of limitations", it would be prudent to provide a cost accounting of the trust fund monies including the monies deployed in the investments in the Grand River Navigation Company. 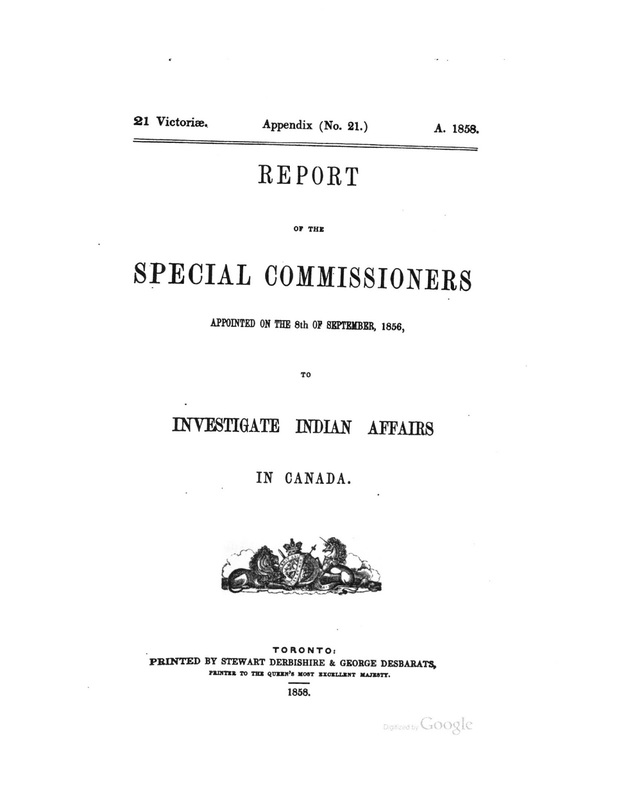 None the less, many activists at Six Nations and their supporters, clearly have not read the original documents that demonstrate the lead up to the formation of the present day Reserve. 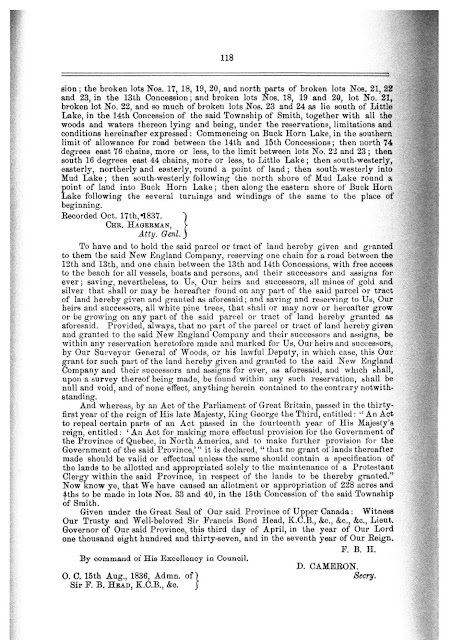 The Reserve of today includes Tuscarora Township and part of Onondaga Township in Brant County; and a strip of land on the western boundary of Oneida Township. The Chiefs also asked to reserve a 200 acre plot of land around the Mohawk Institute in the City of Brantford. 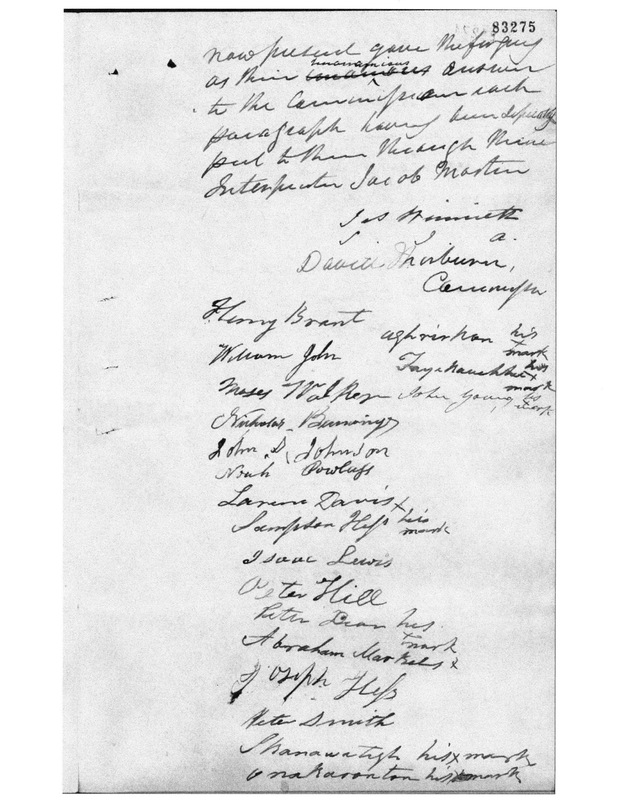 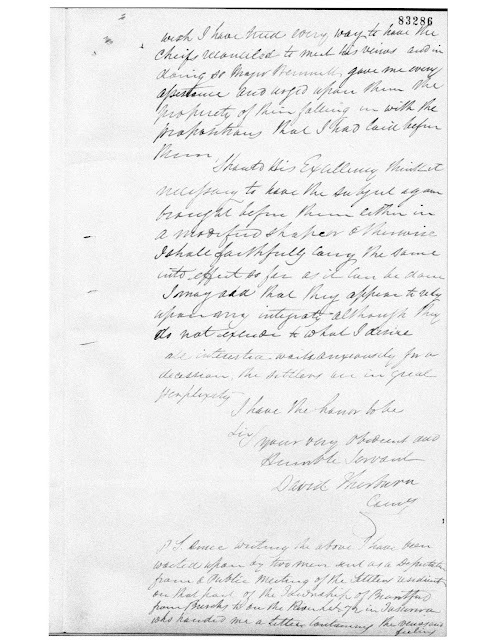 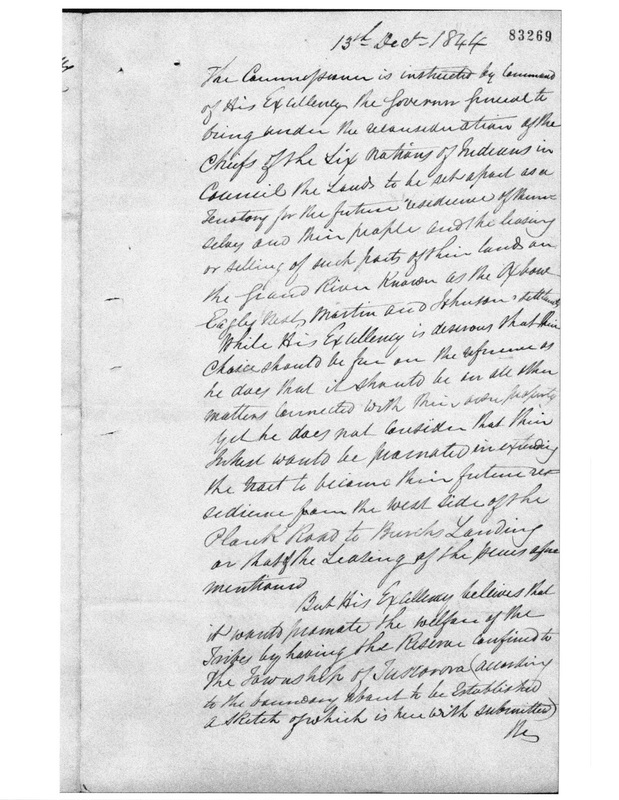 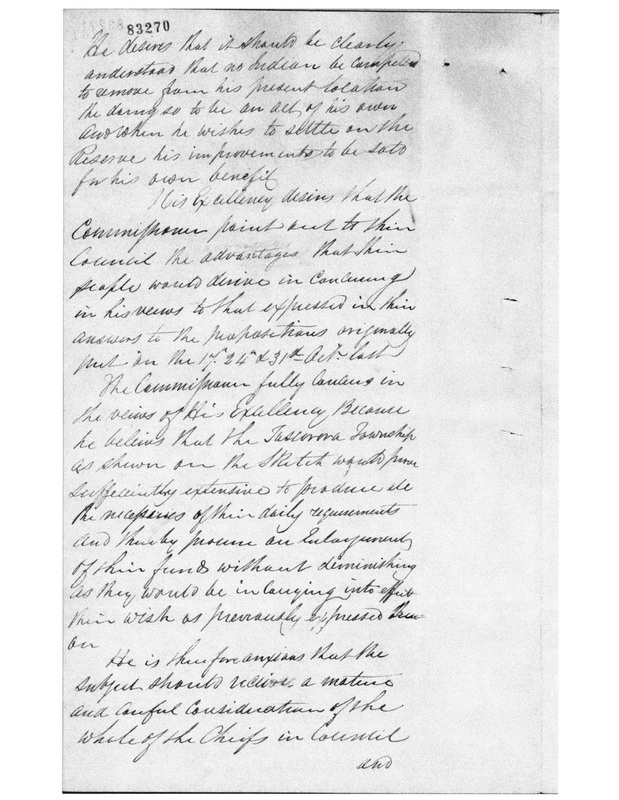 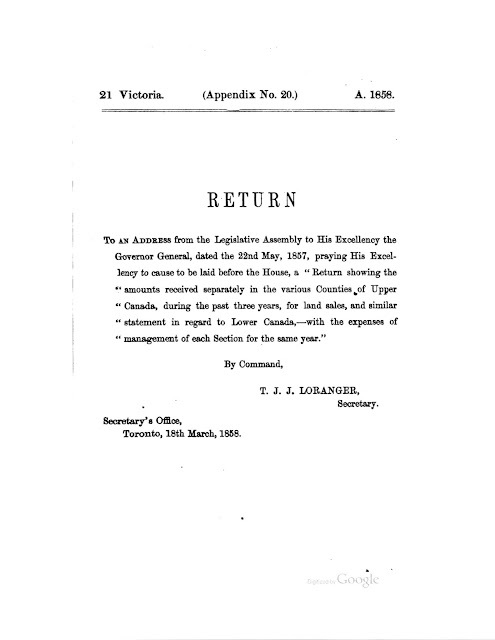 This mutually acceptable agreement was signed, sealed and delivered by a series of surrenders by the Chiefs in Council culminating in the report of Lord Elgin in 1850 which received Crown ascent. 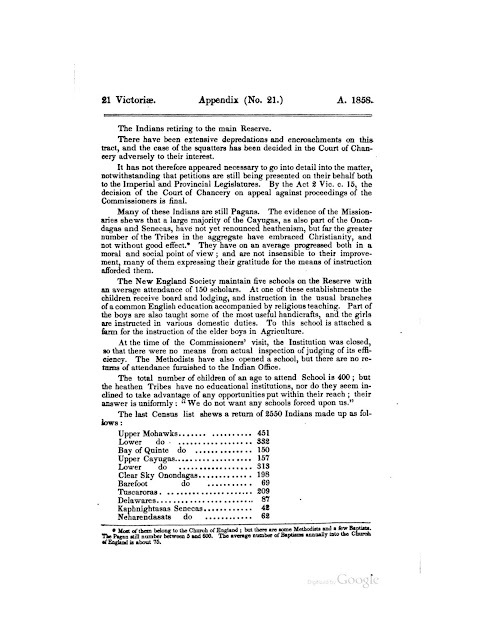 Since then, there have been recent purchases to add to the Six Nations land base, including lands acquired via the highly questionable agreement between the Ontario Government and Six Nations representatives in 2006. The latter agreed to remove the barricades blocking Argyll Street, if Six Nations was granted the land where the former Burtch Correctional facility (between the Reserve and the City of Brantford) was situated. This sounds a lot like extortion. 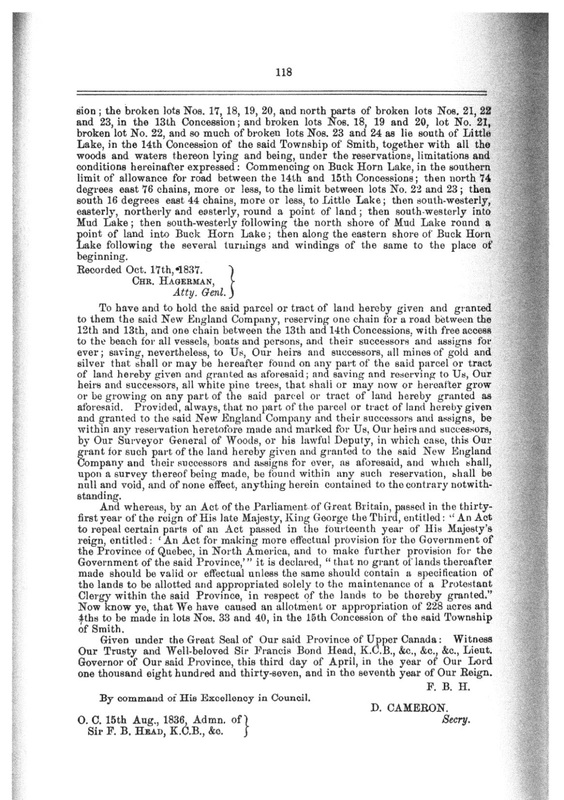 However the core Reserve has, since 1847 been only the land noted above involving Tuscarora Township and parts of Onondaga and Oneida Township, as well as a 200 acre parcel in the City of Brantford. 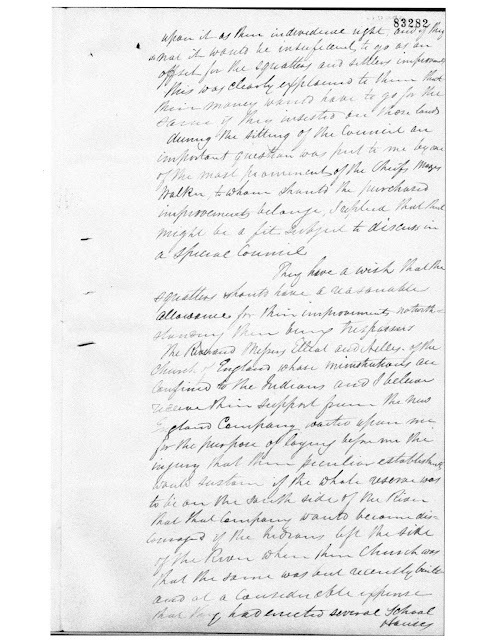 To this day, the former DCE is occupied by Six Nations members, and a fence has been erected around the perimeter of the property, and a gate was installed crossing Surrey Street, which is owned by the County of Haldimand. 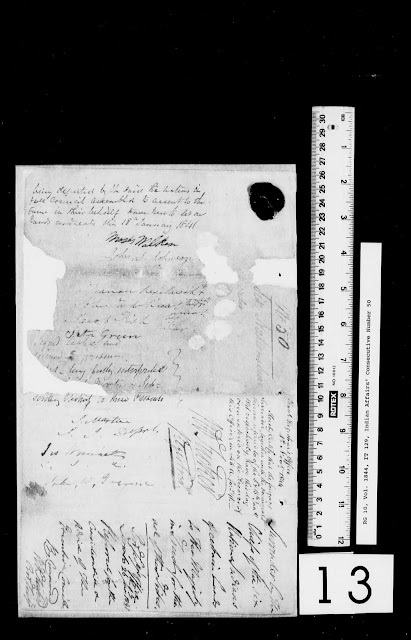 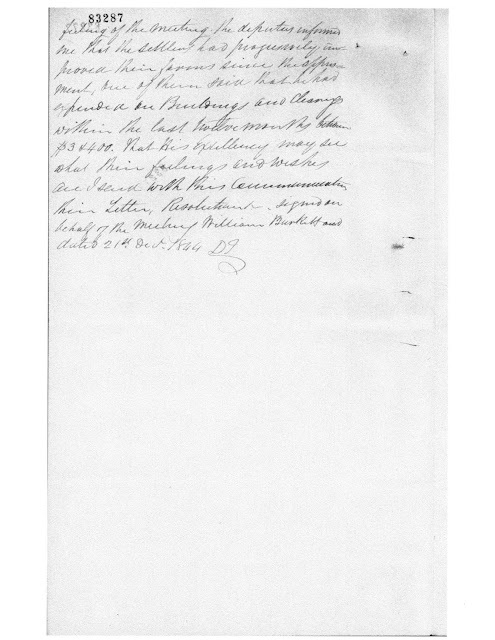 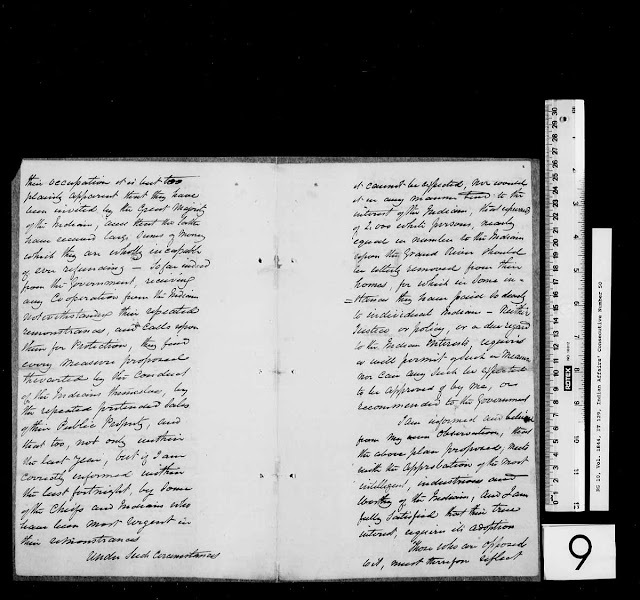 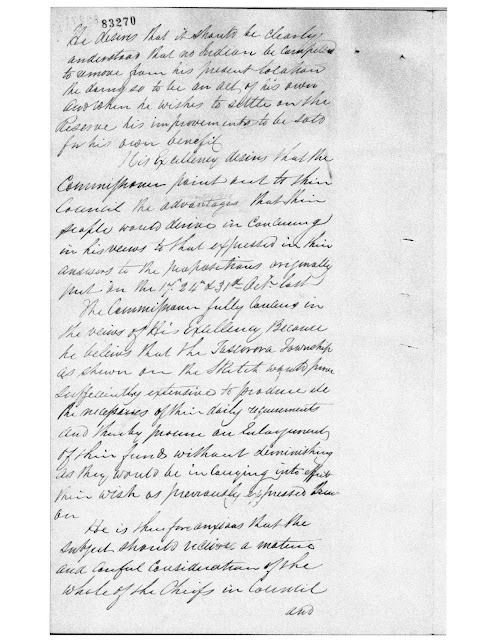 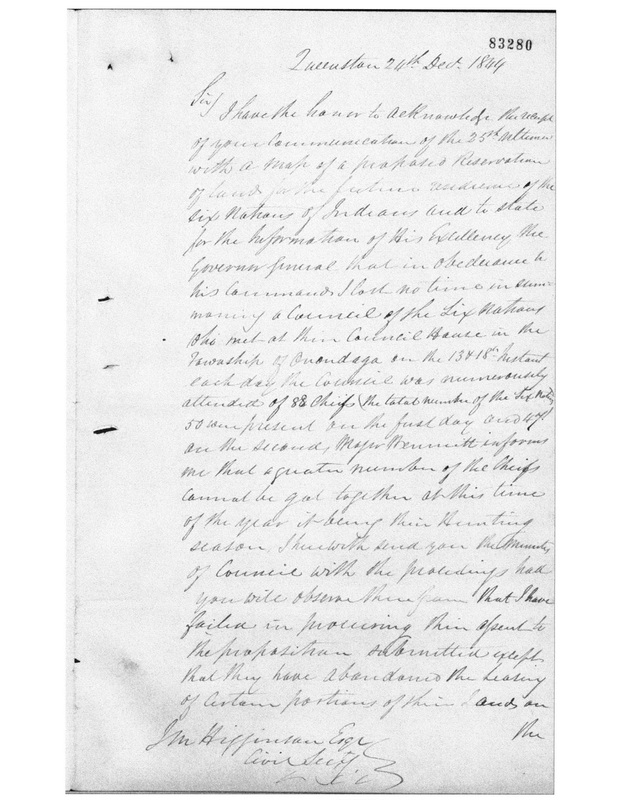 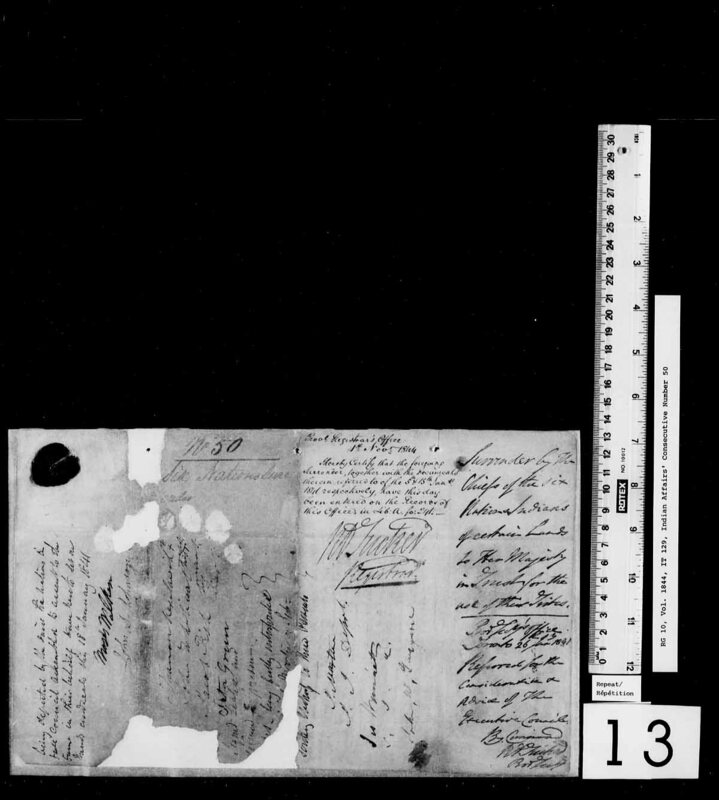 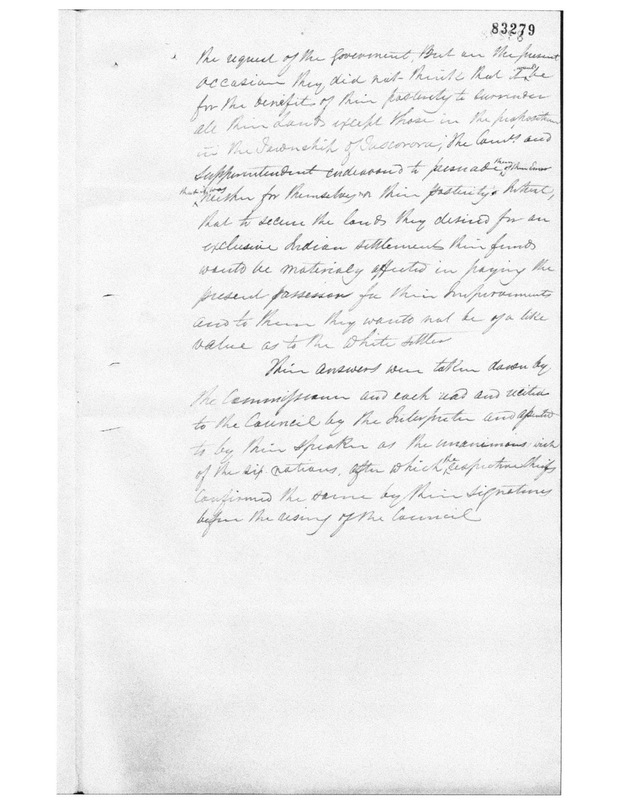 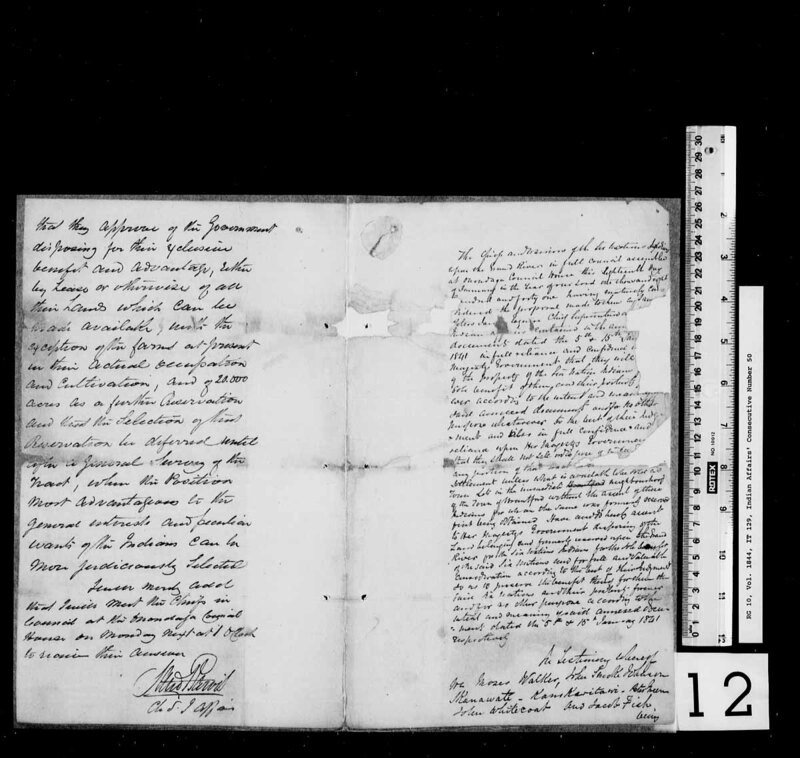 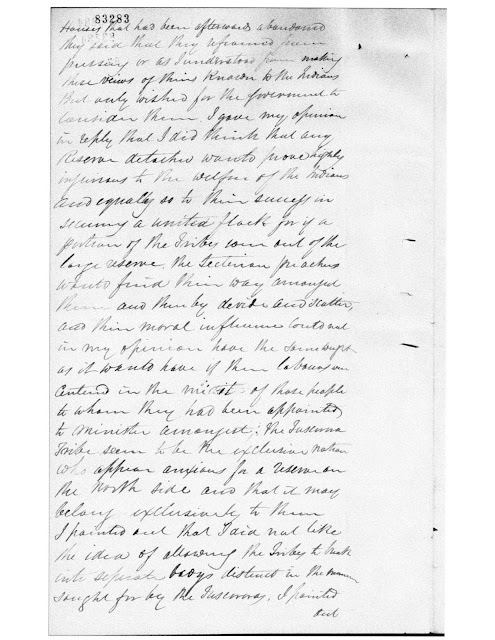 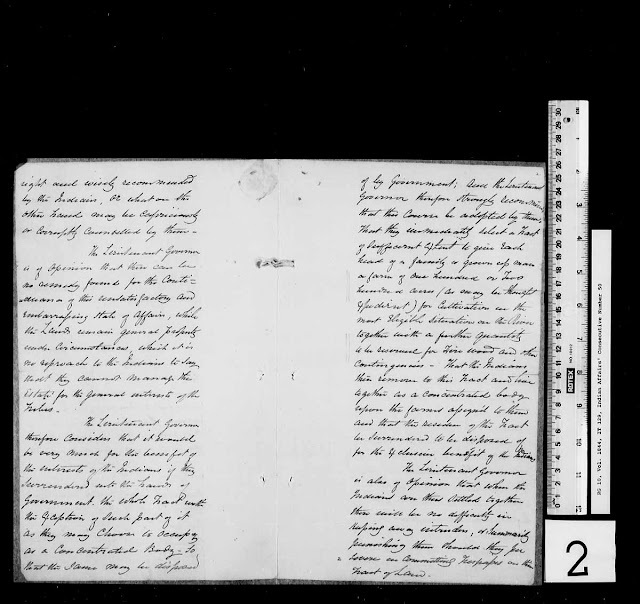 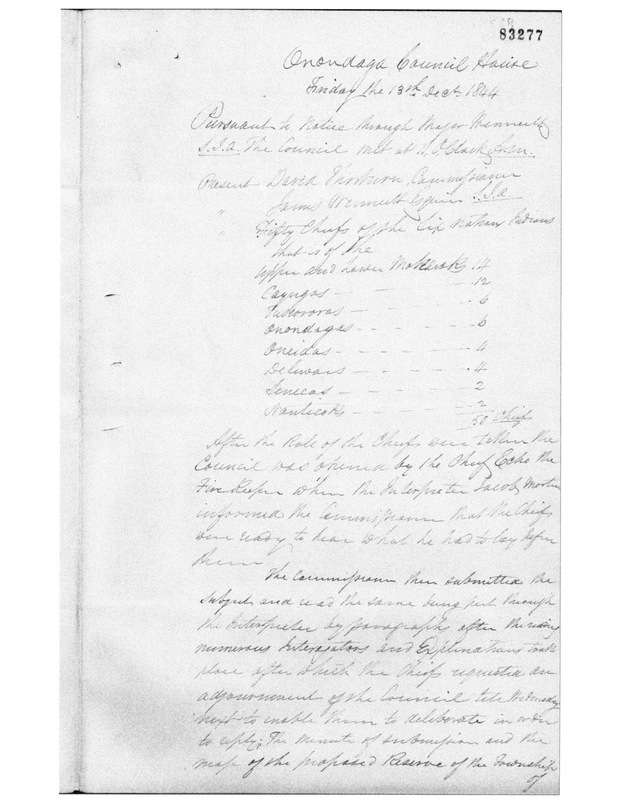 The goal of the present posting is to provide photographic copies of the original documents proving that DCE (Kanonhstaton) was surrendered prior to 18 December 1844. After reading the entire series of documents pertaining to the surrender of the various parcels of Grand River land , the present author has been led to an inevitable conclusion. 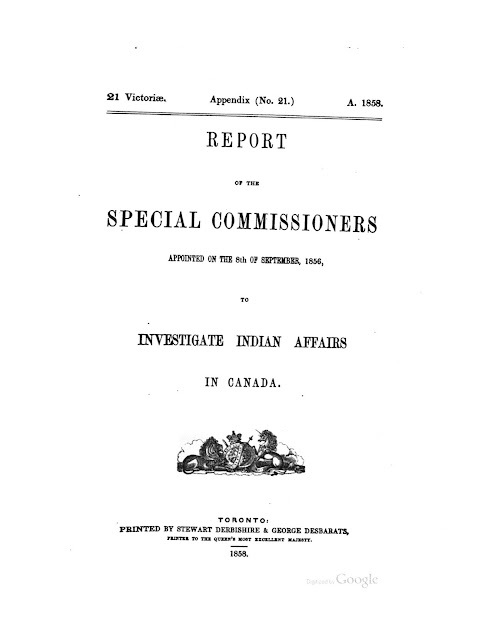 That is to say, the common belief that the commissioner and superintendent were enacting "colonialist" and "paternalistic" policies which were meant to ensure "cultural genocide" could not be further from the truth. 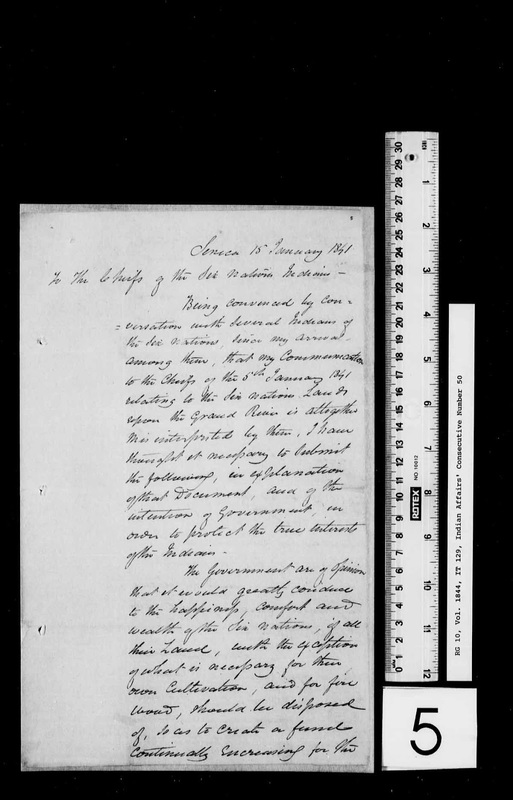 These dedicated civil servants, David Thorburn and James Winniett, were attempting to ensure the survival of the Six Nations as a people. 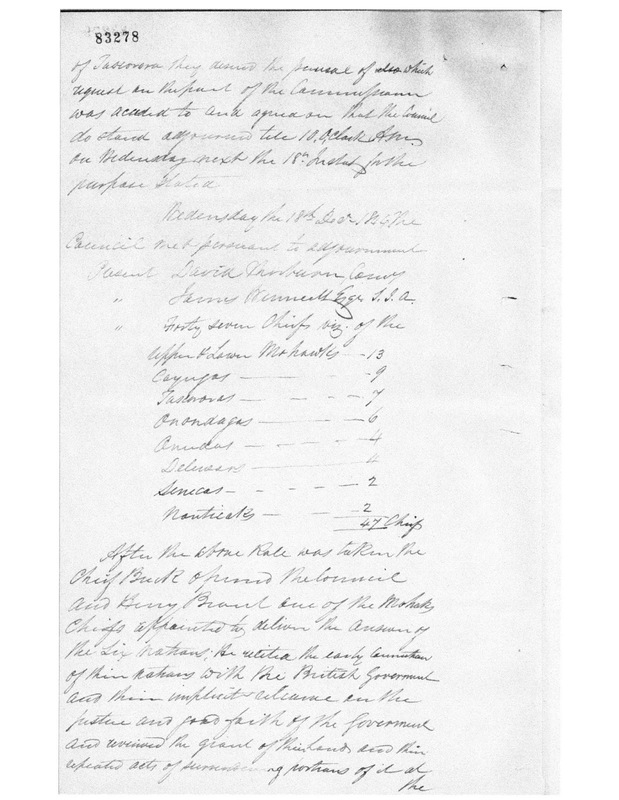 At the time the population of about 2,000 was scattered throughout the Grand River Territory from about Dunnville to Brantford, and they were selling their improvements to White settlers then moving somewhere else. At the time of the surrender of 1844 there were about 2,000 non-Native residents living on the land belonging to the Crown, but held by the Six Nations under right of occupancy. 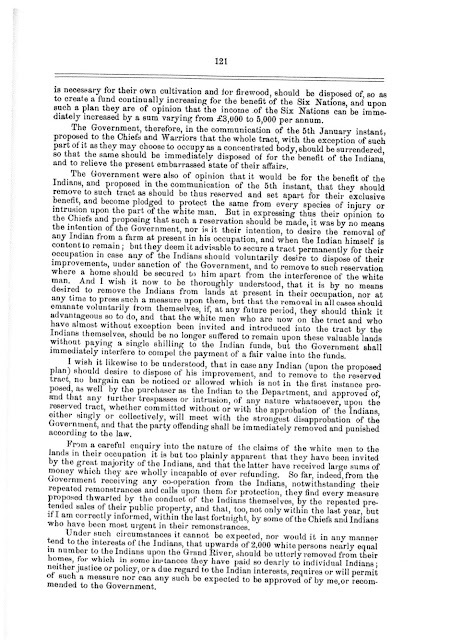 Clearly the trend for Six Nations people to move west to the Ohio country, or elsewhere, was escalating and soon the Six Nations people would be scattered to the four winds. Their own lands were dotted with White settlers ("squatters") who generally held title by virtue of a land sale from a Six Nations member. 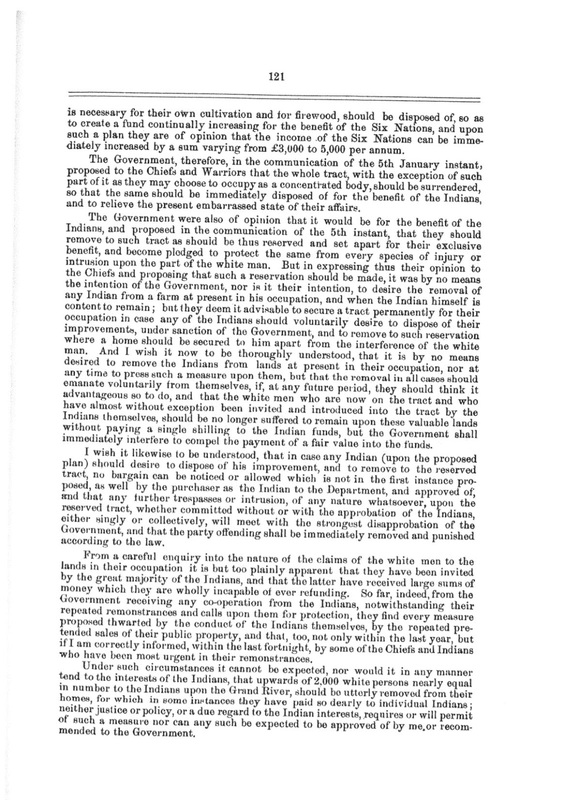 To save the Six Nations from extinction as a people ("cultural genocide"), the government officials came up with a plan to consolidate the Six Nations settlement to a compact area where they would be a community, and would be safe from encroachments by those wanting the very land on which they lived. 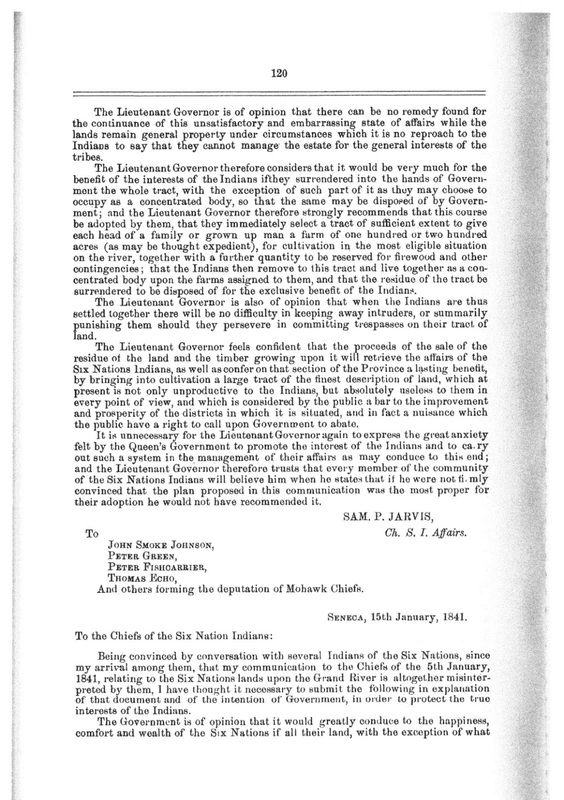 The government made it very clear that no Six Nations person would be required to sell their property and move to the new Reserve, but if at a later date they did wish to sell their property and move to the Reserve, they would have the right to reside there amongst their own people. 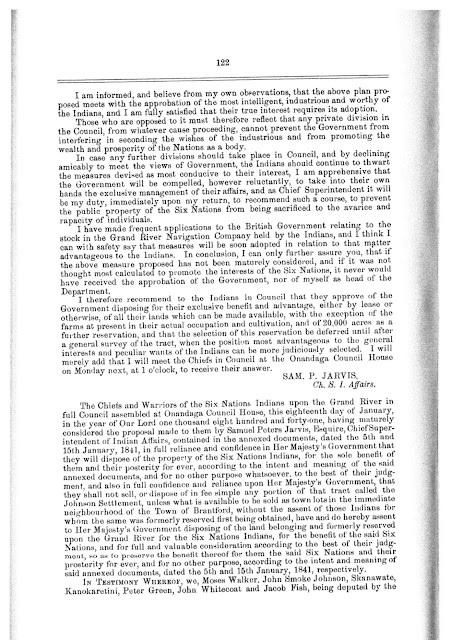 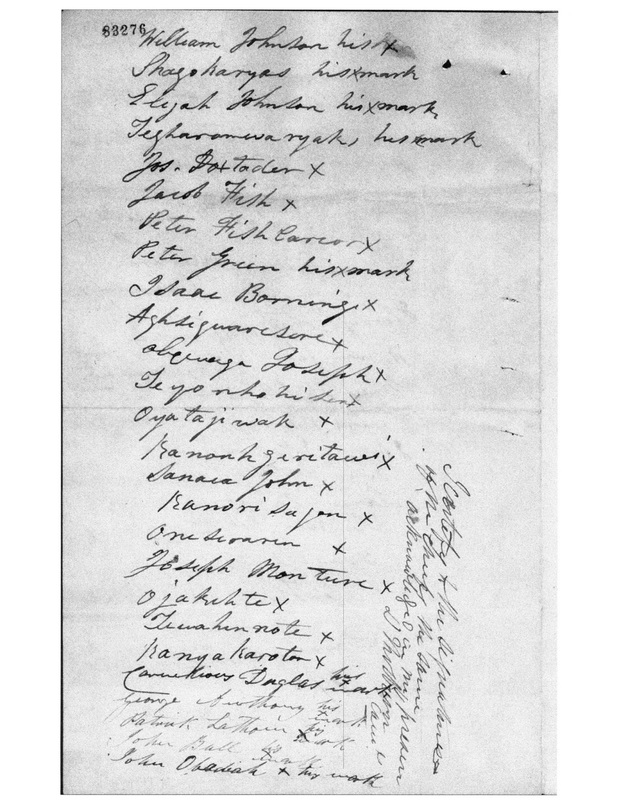 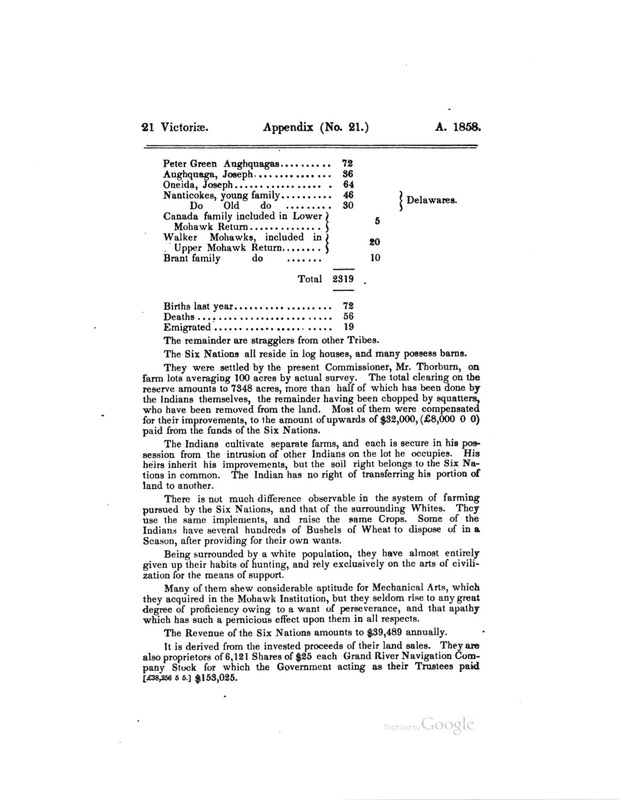 Hence the old chestnut of finger pointing at the Government officials, accusing them of trying to destroy the Six Nations as a people is wrong - it was these officials who had the best interests of the Six Nations in mind when they recommended a consolidated Reserve, with the sale of other properties to be placed in a trust fund. 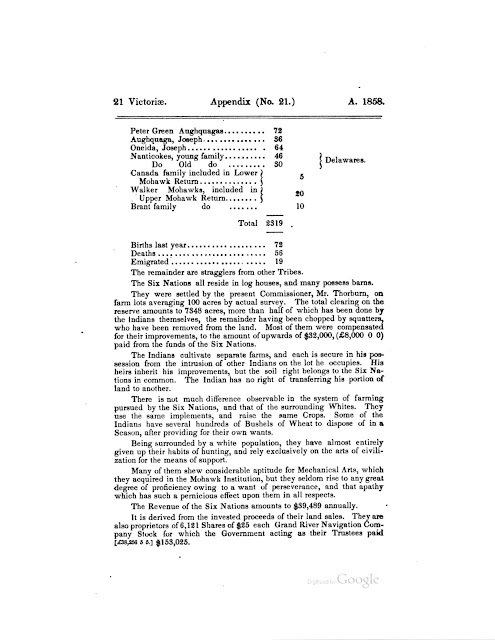 There would be compensation for the "squatters" who had built homes and cleared land which would then be used by incoming Six Nations people, and that money would come from the trust fund. 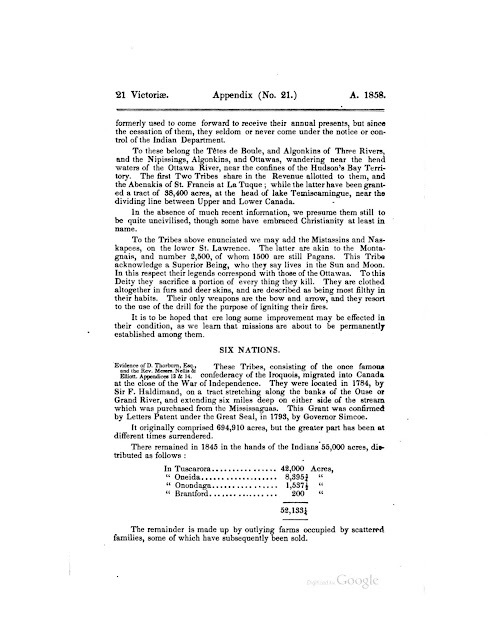 Hence the understandable confusion about what was placed into, and removed from, the trust fund account. Here follows the individual pages of one small part of the entire series of Council meetings and surrenders between 1841 and 1849. The focus here is on the part where the Chiefs gave up their initial idea to lease lands along the Plank Road, and instead reserved only the lands on the west side of the "tier of lots" along the Plank Road. 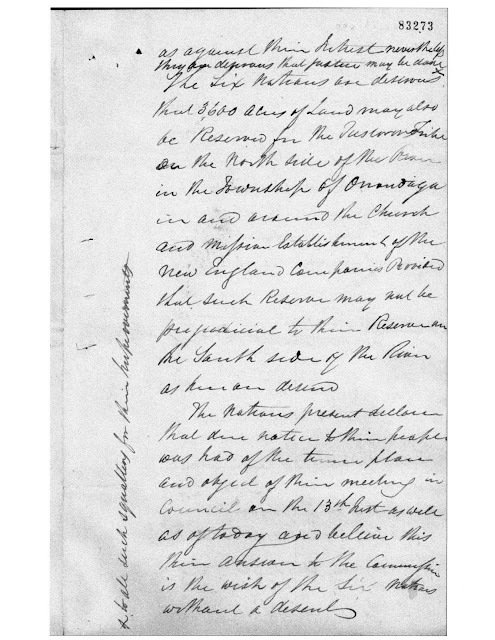 In other words they reserved only the far western strip of Oneida Township, which is today part of the Six Nations Reserve. However, I must ask the question: "Why has it taken so long for these key records to see the light of day? 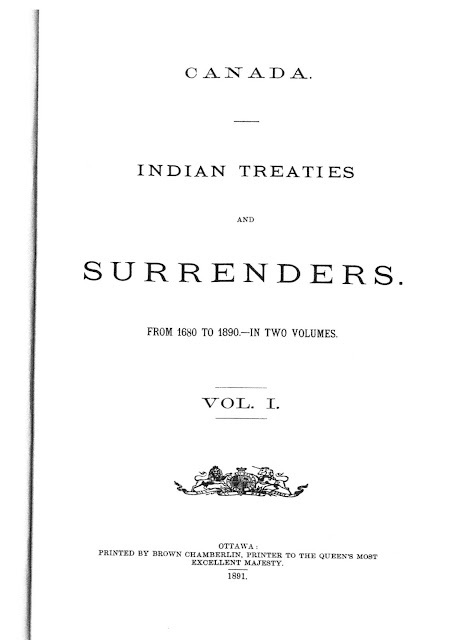 Why has the Federal Government not released them to show all interested parties why they consider the surrender of 1841, which was capped off by Lord Elgin's report in 1850, valid? 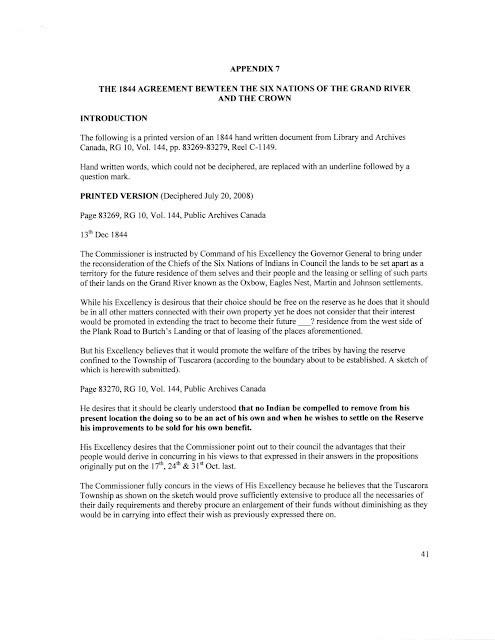 Six Nations must come to the realization that to continue going down the same path, under the delusion that there is a legal basis upon which they could recover lands within the Grand River Tract, is folly. It would seem incumbent on the Government to "show their cards" so that the Ontario Provincial Police will see the evidence which refutes any claim to "unsurrendered" land. Furthermore, residents of Caledonia and other communities impacted by Six Nations illegal take over of lands will realize that, for example, the occupants of DCE do not have a leg to stand on. The Province of Ontario needs to stand firm in the assertion that their Land Titles System (e.g., the deeds registered on title in the Land Registry Office in Cayuga) is valid, legal and secure. 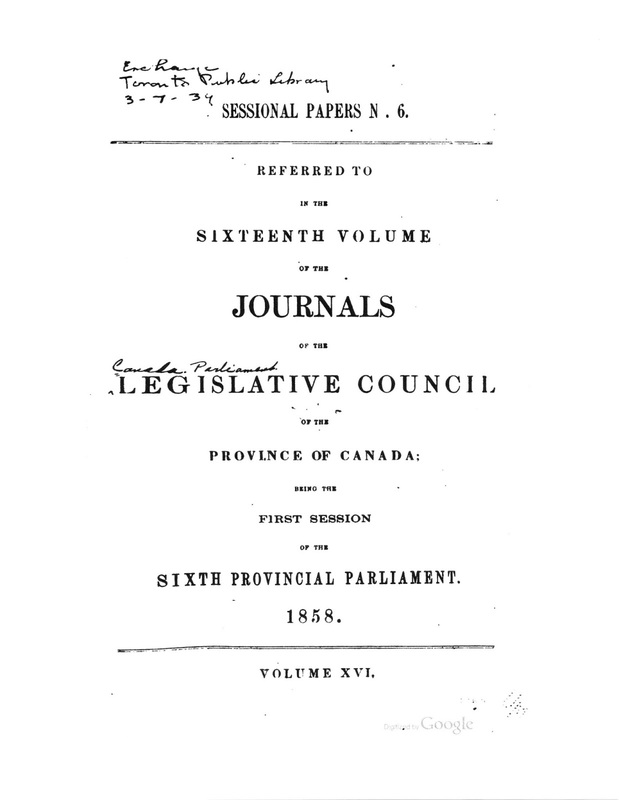 Also the citizens of Ontario whose land is being eyed by those who would take steps to acquire it outside the land registry system, need to stand up for their legal rights without being intimidated by false claims backed up by militancy - bullies and thugs. The evidence is arranged as follows: First the handwritten Minutes of Council Meetings and associated documents. 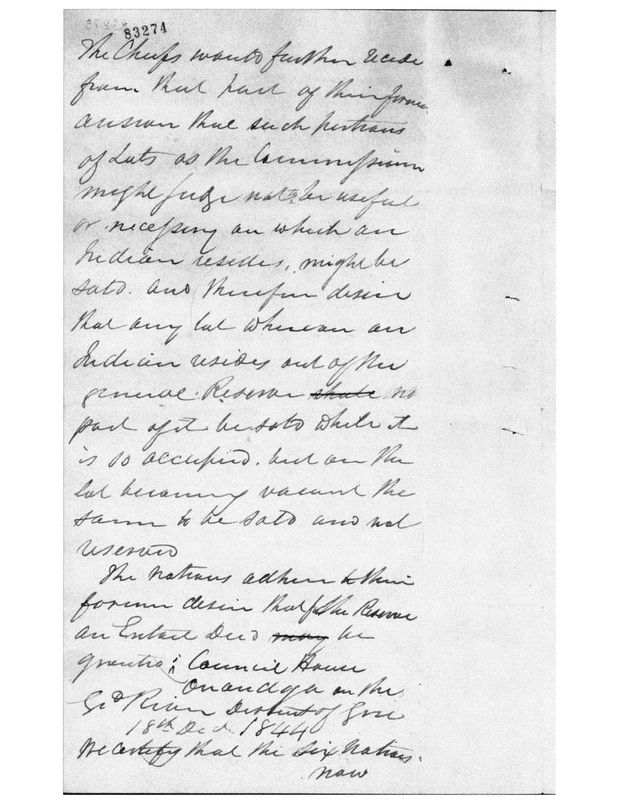 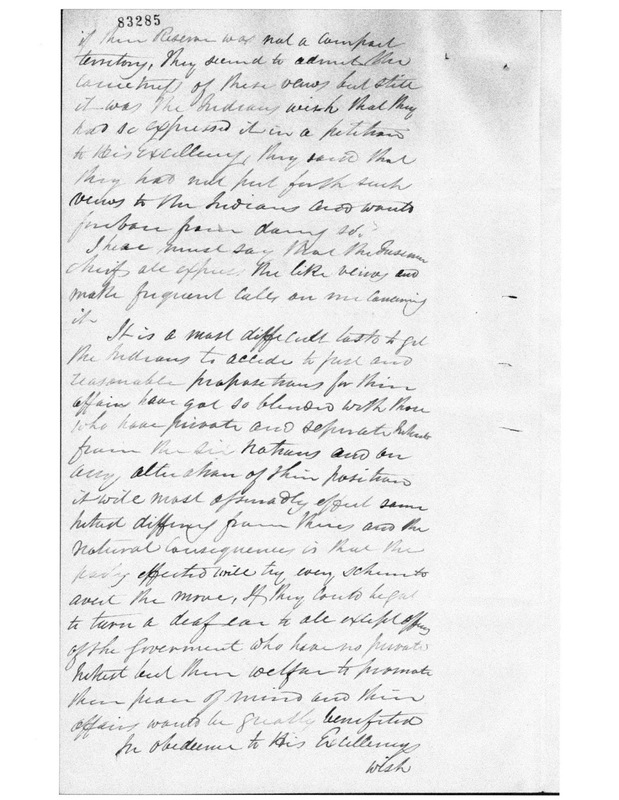 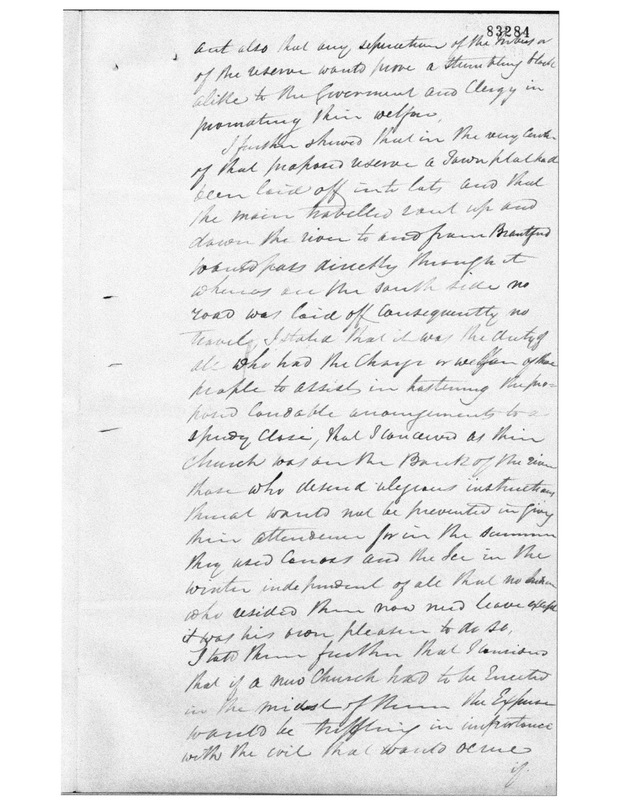 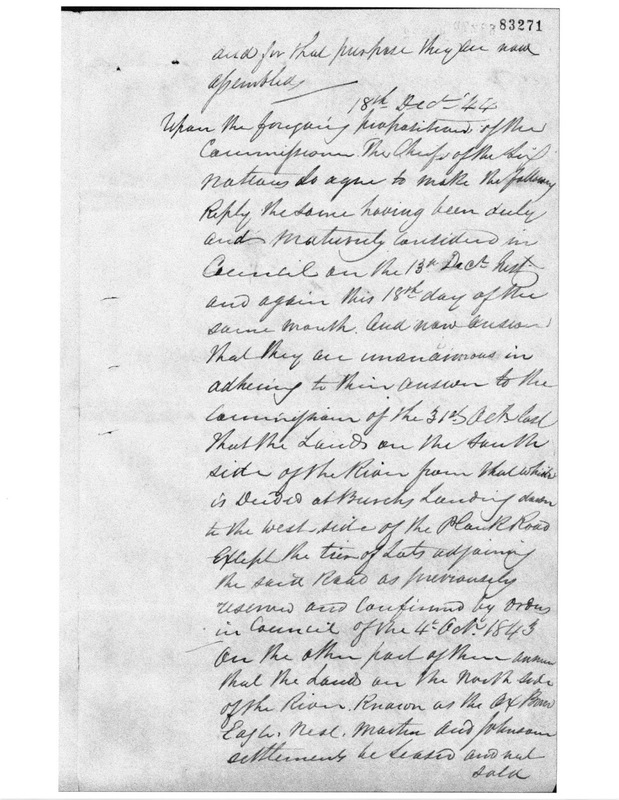 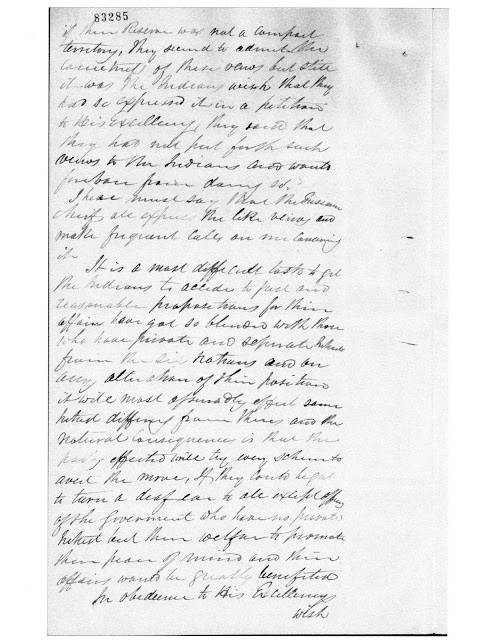 Second a transcript of the handwritten documents. Third, a map showing the boundaries of the Six Nations Reserve in 1842 in relation to the "tier of lots" west of the Plank Road. 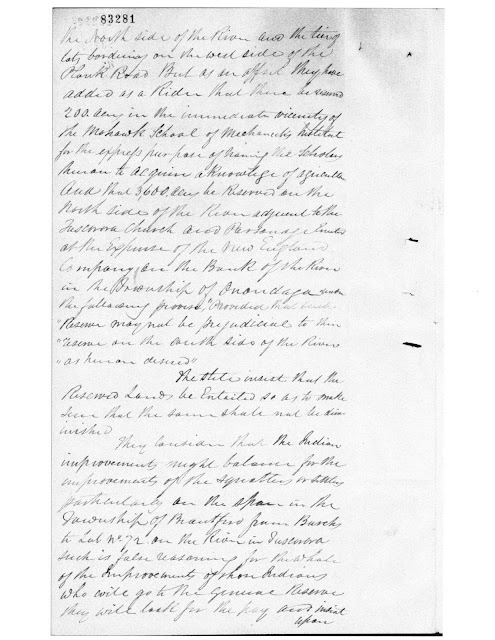 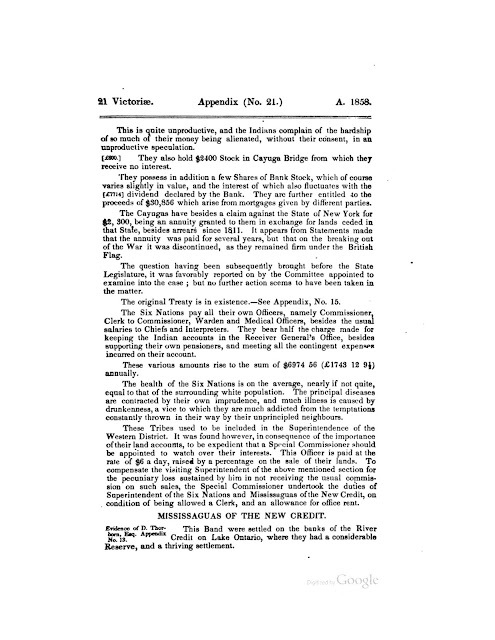 At one point the Chiefs had wished to reserve the lots on the west side of the Plank Road for leasing purposes, however they later "receded from" this temporary position, as seen in the documents below, and unanimously agreed to maintain the eastern boundary along the present line in Oneida Township.